If there is one thing I can say about Life, it is the need for Balance! I have and continue to struggle with Life Balance…I found this cool picture that identifies the aspects of our lives to visualize keeping these attributes in Balance, hope you benefit from it as I did…. Continue reading Strength – Rebirthday! Comment on Strength - Rebirthday! How yoga gave me back my life! Although yoga is an ancient practice, it’s lessons and benefits still apply today. 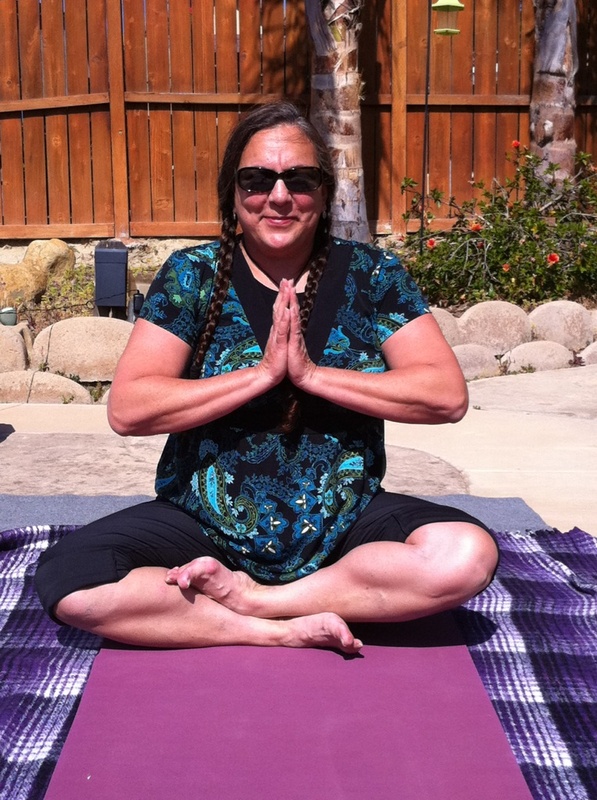 Practicing yoga gave me back my life, allowing me to regain strength and range of motion that I had lost during my extensive treatments of breast cancer and mastectomy surgery during 2005. I remember as my body was healing and recovering, trying to dream of a time in the future when I would be strong again and have my hair back. As I started practicing yoga I knew immediately that this was the best exercise therapy that could help me. My chest and arm affected by the surgery and radiation treatments was tough and hard, I instinctively knew that yoga could heal my body. During those first few months of practice I realized that I would need yoga in my life forever! That is when I decided to go through yoga teacher training through Deep Yoga. My teachers Bhava Ram and Laura Plumb were so awesome, however even as loving as they are, it was having a place called A Women’s Wellness Center to teach from that really allowed my practice to thrive. Now it has been approx 3 yrs since my turning to yoga for my healing and I am so grateful for yoga, it gave me back my life! I am forever grateful to yoga for the internal peace that practicing yoga and meditation has given me! Continue reading How yoga gave me back my life! Comment on How yoga gave me back my life! OMG, I have been so stressed! I am surviving by my Yoga practice! I am so grateful to have my practice to get me thru the tough times of over doing! Hope all is well for you Yogis! Please pray for more Love & Peace in the world! Love Blessings to you! Continue reading Surviving by Yoga! Comment on Surviving by Yoga! Spring is here at last and everything is re-awakening! I feel like I am re-awakening too! My daily Yoga Sadhana has been inside because it has been too cold to go outside, however now I can take it outside, in the fresh spring air! Unfolding my mat and getting down into Balasana is the best way to re-awaken my soul. Connecting with Mother Earth by allowing my hands to fan out and connect with the energy of nature. What a wonderful way to greet a day, by starting out first thing in the morning connecting with Mother Earth and your own true nature! I am so happy for spring, the flowers are everywhere now, the fruits and vegetables seem more colorful and sweeter, oh my dear Spring how I love thee!